Despite best efforts, the Piping Plovers were again driven off the beach. Knowing an off leash weekend day was going to be tough on the PiPl, I spent most of Sunday at Good Harbor Beach. During the morning hours, it wasn’t so bad because most dog walkers were with their pooches by the water’s edge. As the tide came in, the situation quickly deteriorated. Countless dogs ran into the roped off area; I lost track after forty. The PiPl gave up on courtship and tried to forage. A pair of bird dogs chased all three Plovers up and down the beach repeatedly, when they finally gave up. I searched for an hour and couldn’t find. As I was leaving, there were Mama and Papa, in the parking lot. Mama was sitting quietly on the painted white lines and Papa was desperately trying to dig a nest scrape in the course gravel. This exact same scenario happened last Saturday, on the off leash beach day. I had hoped that by spending the day trying to keep dogs out of the #3 nesting area, the parking lot scene would not be repeated. Volunteers are desperately needed during this last week of off leash days. For the area around #3, where I was stationed, at least two are needed, because as you are trying to keep dogs out of one side, they are coming in from the opposite end. The worst days are going to be Thursday, Saturday, and Monday, the three last off leash days of April, with Saturday being by far the hardest. 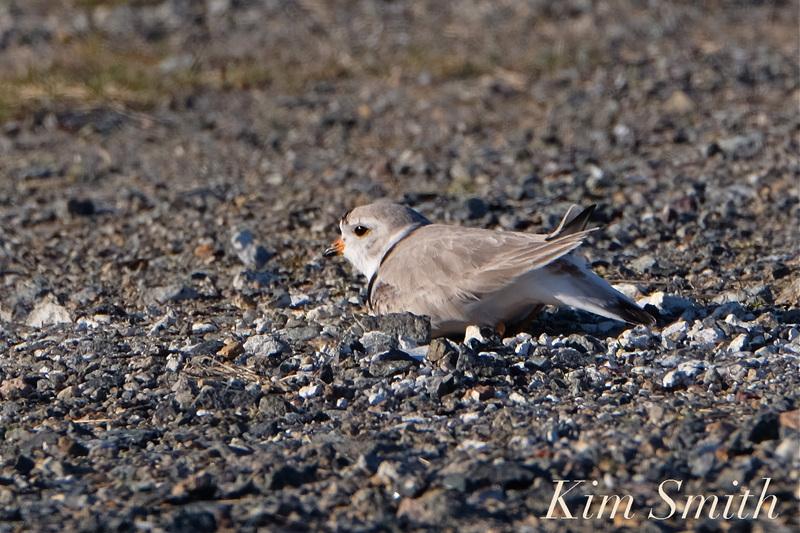 Our Piping Plover pair are resilient. They left the parking lot and returned to the beach at sunset, but again, the same pair of dogs chased them off the beach. Mama and Papa Plover, and the little Bachelor, survived this past off leash weekend day, but as you can imagine, courting and nesting are again delayed. The most important thing for folks to understand is that the earlier in the season the Piping Plovers are allowed to nest, the earlier the chicks will hatch, which means they will have a thousand fold better chance of surviving. Some good news—overnight four new additional Piping Plovers arrived! They are in a battle with one another over turf at the roped off area by boardwalk #1. 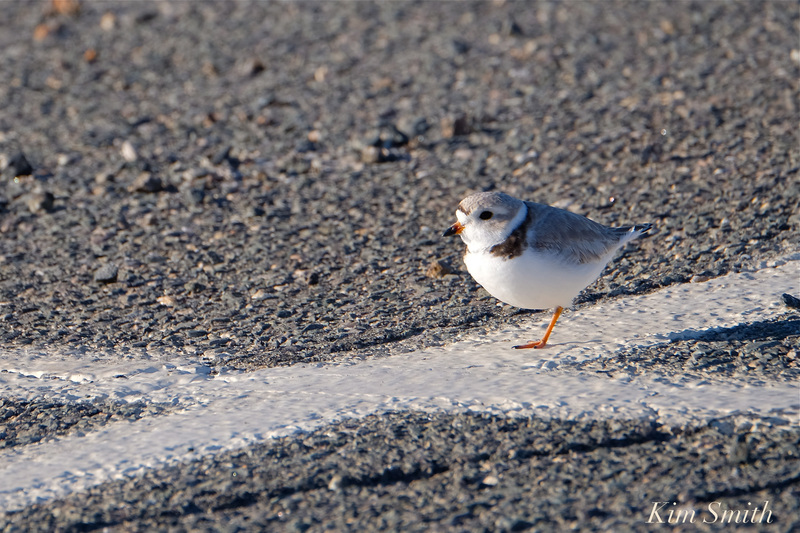 This entry was posted in Birds, Birds of New England, Cape Ann Wildlife, Good Harbor Beach, Life at the Edge of the Sea, Piping Plover and tagged Beautiful Birds of Cape Ann, Charadrius melodus, Good Harbor Beach, how you can help piping plovers, observing Piping Plovers, Piping Plover, Piping Plover Female, Piping Plover male, tips for piping plovers on April 23, 2018 by Kim Smith.